July 14th is Bastille Day or la Fête Nationale in la belle France as the home of freedom stops and starts to celebrate “liberté, egalité and fraternité”. Festivities include La Bal du 14 Juillet, a giant dance party traditionally held on the Place de la Bastille where the infamous stormed Bastille Prison once stood, the firehouse galas or ‘Bals des Pompiers’ and the grand (and seemingly endless) formal military parade down the stunning Champs-Elysées Avenue. But dearest to the French (and all those who love all matters French) are the magnificent fireworks launched over the iconic Eiffel Tower. The 2011 display theme is “From Broadway to Paris”. But in all fairness, perhaps that theme is backward because one of the greatest musicals ever written was France’s gift to Broadway (and the world): Les Miserables. And no other musical better presents the need for freedom that is the essence of Bastille Day (and the essential heart of the hospitality industry). 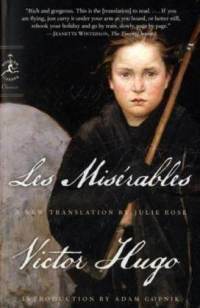 Based on a book written by Victor Hugo, the novel Les Miserables follows the life of Jean Valjean, who is imprisoned for 19 years at hard labor for stealing only a loaf of bread for his sister’s starving son. Though stealing food is a crime, the insensitive nature of society to hunger and the excessive sentence establishes the two major themes that run throughout the novel, the musical and French history – the parallel values of human justice and inclusive cuisine. Justice, understanding and compassion are granted or withheld by the various members of the world that Valjean passes through, including a kind country bishop who feeds and then lies to protect him to the hate-blinded and eternally unforgiving Inspector Javert. Equally threaded throughout this legendary story is role of cuisine in both a true and false understanding of hospitality. From the stolen bread to the final wedding feast of Valjean’s beloved ward Cosetta, Hugo serves up one food metaphor after another in his novel, holding as it were, a mirror up to the true and false moral appetites of mankind. Especially memorable is the false and totally disgraceful innkeeper Thenardier, who only seeks to exploit every guest, and the honorable Marius who mourns his murdered friends, who supported revolutionary change, among the empty chairs and tables of their favorite student cafe. The final feast of meaning that both Hugo and the musical share is that freedom and hospitality are eternally intertwined because each requires a respect for every individual met and served. What better and truer theme could there be for Bastille Day, France's Fête National, surrounded by many of the world's greatest hotels and restaurants, open to all and encouraging everyone everywhere to enjoy life, freedom and honor all others in the true and universal spirit of hospitality. Posted on July 13, 2011 by Ana Kinkaid and filed under Architecture, Cooking, Culinary History, Elegance, French Cuisine, Holidays, Hotels and tagged Bal du 14 Juillet Bals des Pompiers Bastille Day Bastille Military Parade Champs-Elysees Avenue Eiffel Tower Fete Nationale Firehouse Galas Inspector Javert Jean Valjean Les Miserables Victor Hugo.